“Data show…” versus “Data shows…” – which is correct? 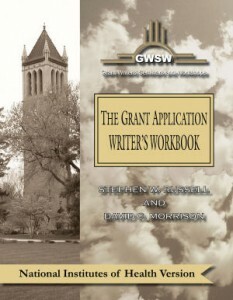 Quite frankly, we’re not at all surprised that you are confused by this issue, particularly given the above and the fact that, in all of our versions of The Grant Application Writer’s Workbook, we have stressed the concept that data is the plural of datum. However, having one datum is not particularly meaningful in terms of allowing conclusions to be reached. In this respect, it is difficult to envision interpretations allowing conclusions to be reached in which there is no comparison of one piece of datum to another. On the other hand, it is usually difficult to challenge existing norms with respect to language usage, particularly when the more commonly used terminology is to consider data in the singular. In pursuing this issue, we have searched the Google website for scholarly discussions of this issue and were surprised to find that there are more than 1,600,000 “hits” that appear to have something to do with the phrase “Is data singular or plural?”. Clearly this is not a resolved issue. We, therefore, consulted an individual whom many consider to be an authority in the use of the English language, namely Grammar Girl. In a well-written column entitled Is Data Singular or Plural?, this issue is discussed in some degree of detail with a clear rationale as to which form would be most appropriate. In essence, the discussion distills down to whether the data being referred to is/are considered as mass data (in which case the singular would be most appropriate) or numerical data (in which case the plural would be most appropriate). Mass data are data in which it would be impossible to enumerate the individual components (such as a pound of sugar), whereas numerical data refer to individual components which are “countable” (such as a dozen eggs). Thus, if the data being discussed refer to the results of three experiments, which are certainly countable, the appropriate reference would be “Our data indicate that…”. On the other hand, if the data being discussed refer to the results of a survey of a large percentage of the population, the appropriate reference would be “Our data indicates that…”. As indicated by Grammar Girl, however, there are instances where either term would be appropriate and, in such circumstances, final decisions would be the option of the author. Another way of looking at this would be in consideration of the use of the terms “amount” versus ”number”. Parenthetically, these are also terms that are frequently misused (particularly in the popular press). If a certain phenomenon can be clearly attributable to a countable number, the term ‘number’ would be much preferred over the inaccurate term ‘amount’. This issue notwithstanding, a further consideration of the examples given in the title to this blog post both refer to data as “showing” something. Some people, including the writer of this blog post, query whether “data” can actually show things. We would argue that only people can show things and data can be used to show things. Another way of phrasing this would be that “these data provide supportive evidence for the conclusion that…”, although it is highly unlikely that, given the relatively limited number of pages allowed for grant applications, this more appropriate terminology will ever become commonly used. The same argument would not apply to the use of the singular versus plural when discussing data.